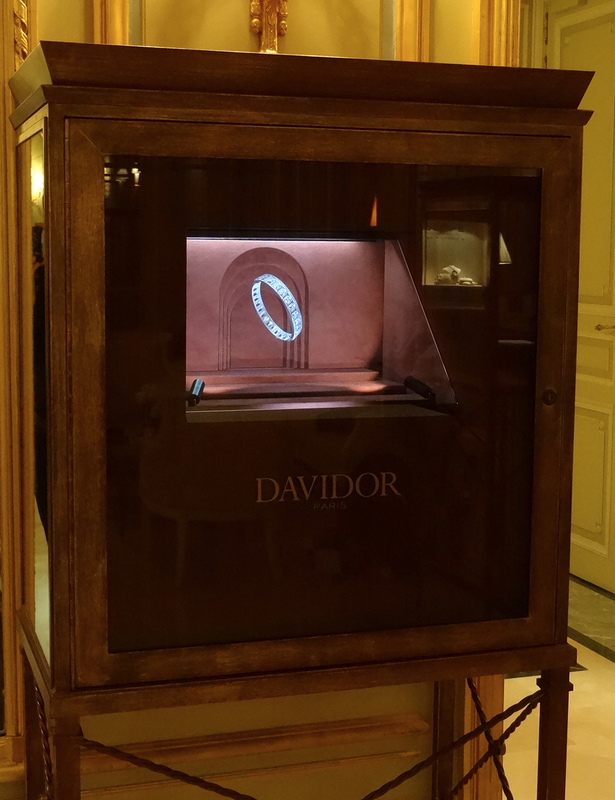 Davidor under the charm of the holographic display cases of the Plaza Athénée in Paris. A ring is created around a levitating diamond. The jewellery industry under the charm of the holographic windows of of the Plaza Athénée. 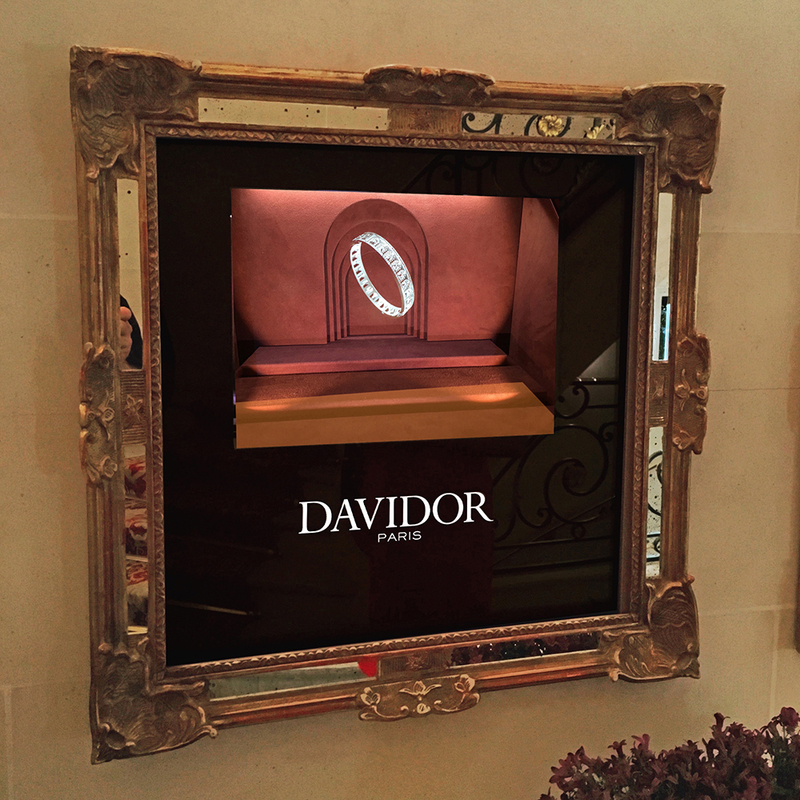 Davidor under the charm of the holographic windows of Le Meurice in Paris. A ring is created around a levitating diamond. 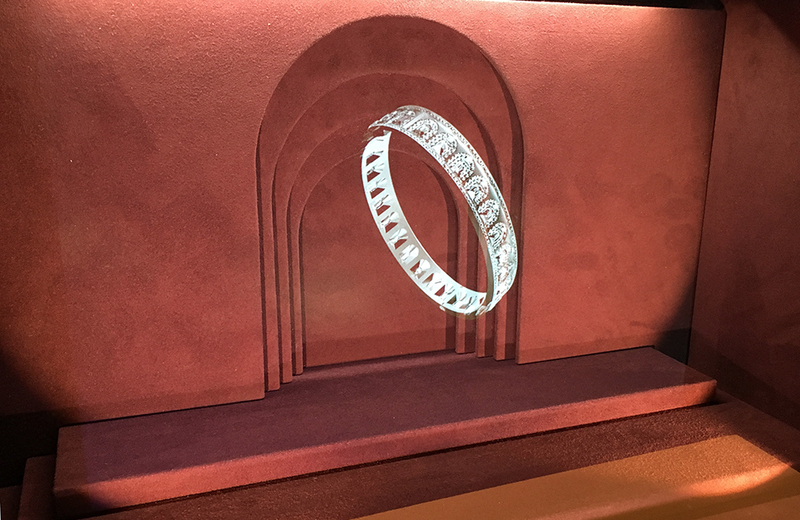 The jewellery industry under the charm of the holographic windows of Le Meurice in Paris.